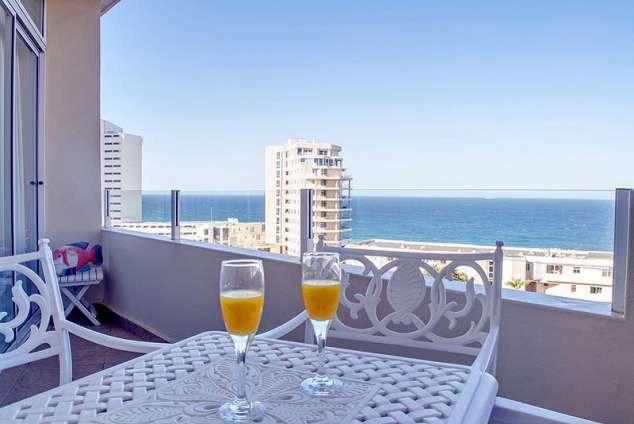 43 Sea Lodge - Umhlanga Rocks Accommodation. FREE high speed Wi-Fi is available throughout the apartment. Full DSTV bouquet available on a big flat screen TV in the lounge. Air-conditioned lounge and dining area. Ceiling fans in the bedrooms. Braai (BBQ) facility on the balcony. Spectacular sea views visible from most of the apartment. Direct beach access through a gate in the complex. Sparkling pool for the exclusive use of residents. Secure undercover parking and trailer parking if required. Quality bed linen, bath and beach towels provided. Reliable, inexpensive taxi service available. Walking distance to the nearby bars, restaurants and shops. 633 page views since 02 Oct, 2018.